There are many kinds of pressure washers out there, some made for residential use and others meant for commercial services. What makes these two types of machines so different from one another is not what they do, or even how they do it, but the parts that are used to build them. Residential pressure washers are designed to be used sparingly, even if they seem to be incredibly powerful machines, they will never last as long, or do the job as well, as commercial washers. Commercial pressure washers are made with stronger materials such as brass and stainless steel, and usually do not include plastic. In comparison to residential washers, commercial ones exceed where reliability is concerned, from the pumps and engines, to hoses and heating coils-and most are significantly more powerful. When it comes to quality pressure washing, Chicago residents rely on professional power washing companies that have commercial pressure washers and the professionals who know how to use them properly. Pressure washing removes layers of unwanted dirt, grime, and stains from the exterior surfaces of residential and commercial properties. In addition to the superior results, it is often more convenient than renting or purchasing a pressure washer for a weekend’s worth of work. 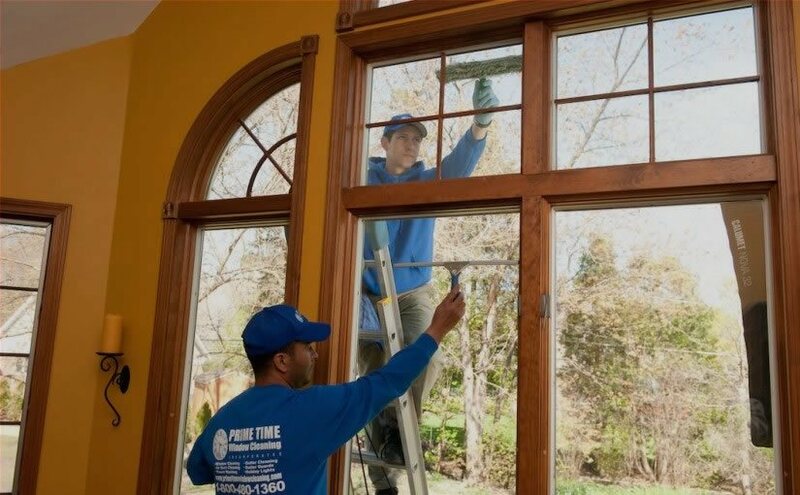 Prime Time Window Cleaning is a reliable window and glass company that has been providing commercial grade pressure washing services to Chicago residents for years. Below are just a few examples of the many advantages to hiring Prime Time Window Cleaning for your pressure washing Chicago needs. 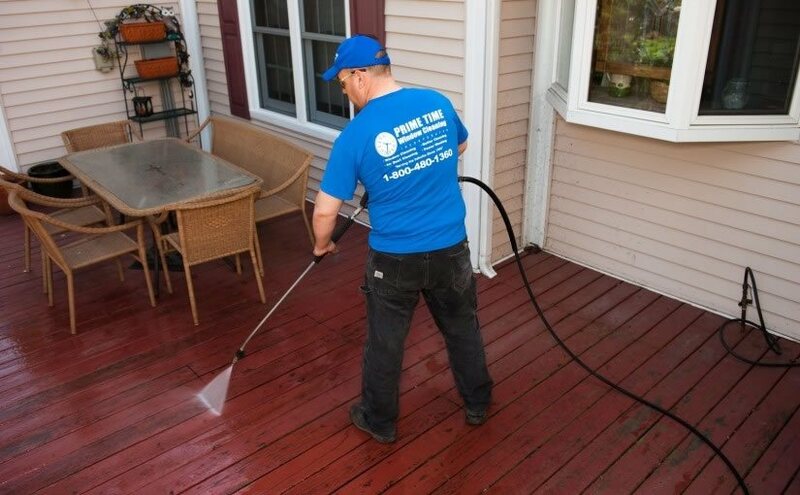 Pressure washing Chicago can remove some of the toughest stains, including old paint, rust marks, graffiti, dirt, grease, mud, oil, and more. In Chicago there are a myriad of surfaces at homes and business establishments that could benefit from a good pressure washing. Some common examples might include fences, empty pools, brick walls, house siding, driveways, garage floors, decks, patios, sidewalks, and walkways. Other examples might include things like grills, where grease gathers over time, and boats or trailers, which accumulate grime when exposed to the elements. Things like bikes, lawnmowers, and lawn furniture are often able to be cleaned quickly and easily by pressure washers as well. When you have a hard to clean surface, whether it’s large or small, Prime Time Window Cleaning can help. We have been discovering and maximizing the top uses for pressure washing Chicago for over twenty years. As a business, it is our desire to make the old look like new again, instead of throwing things away or covering them up. If you are looking for reliable, professional pressure washing Chicago, call Prime Time Window Cleaning at 1-800-480-1360 to book an appointment today.